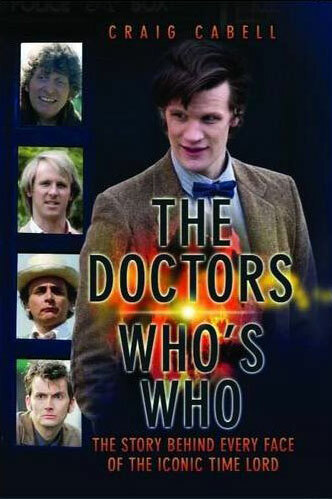 Note: A combined biography of all the actors to have played the Doctor — in a similar vein to The Nine Lives of Doctor Who a decade previously. Doctor Who is the world's longest-running science fiction television series, and has had children hiding behind sofas since it was first broadcast in 1963. Eleven actors have played the famous Time Lord, starting with William Hartnell, and it has been a career landmark for all of them. Indeed, no other role in television history is as iconic, demanding, or as anticipated by its legions of fans as that of the famous time traveller with two hearts. 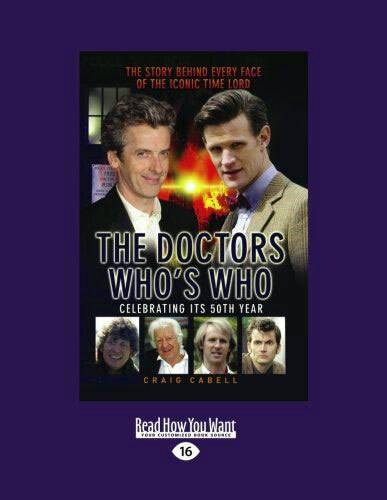 All these bizarre facts are explained, and many more, as the lives and careers of each Doctor (including the latest — and youngest — Matt Smith) are put under the spotlight and given the credit they so richly deserve. Including interviews with many of the stars, this is a must have for any fan. Go back in time and read the human story behind a TV legend. CRAIG CABELL has been a freelance journalist and writer for 20 years. He spent five years as an in-house reporter at the House Journal of the Ministry of Defence, Focus, and has written 15 books as a biographer and historian. He is an expert on rare and collectable fiction and wrote several regular wine columns for different magazines as well as travelling the world, from Kuwait to Venezuela, for government services. Some of his previous books, such as Operation Big Ben, the anti-V2 Spitfire Mission 1944-45 (with Graham Thomas) and Ian Fleming's Secret War, have attracted much praise. His previous books with John Blake Publishing, James Herbert — Devil In the Dark, Snipers (with Richard Brown), and Ian Rankin and Inspector Rebus have showcased his diversity and specialist skills in literature and small arms. He lives in London with his wife and three children. 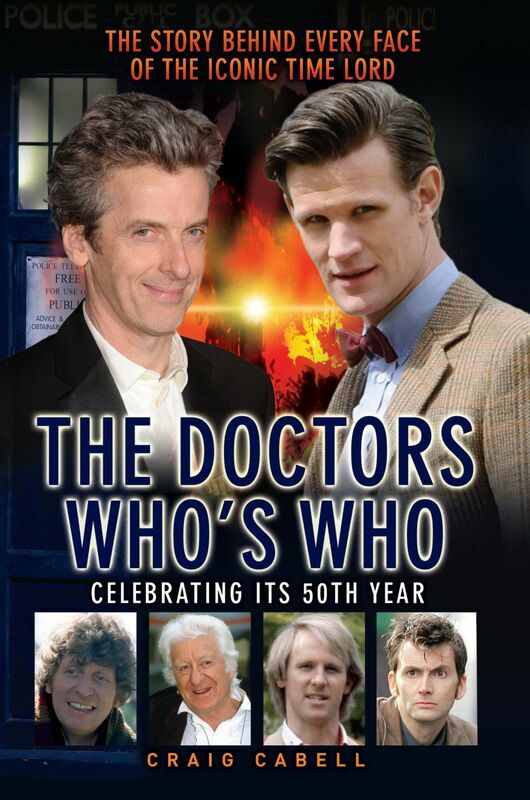 Note: As you can probably guess from the cover, this edition has been expanded to also include a biography of Peter Capaldi. For 50 years Doctor Who has thrilled audiences the world over. It has the honour of being the longest running science fiction programme ever, unique in its ability to reinvent itself approximately every four years by changing the face — but not the character — of its leading actor. Being Doctor Who has been a life-changing experience for all 12 actors who have played the part; but how has the programme changed the actors' lives and what else have they done in their varied careers? This book explains all. Who played with the real-life Christopher Robin and Winnie-the-Pooh as a child and grew up to ride the Wall of Death as a circus attraction? Which two Doctor Whos have played transvestites? Who won Celebrity Come Dine With Me and then ventured into the jungle with Ant and Dec? How many future Doctor Who lives were touched by the great Lord Olivier on their way to intergalactic stardom? Which Doctor won an Academy Award for a short film he directed? 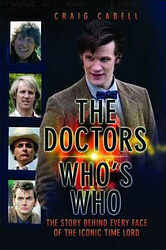 And which two Doctors appeared in the programme before becoming the Doctor himself? Not only does this authoritative book detail the careers of every single Doctor Who, it also celebrates the legacy of the show itself — a television phenomenon which continues to go from strength to strength. Including interviews with many of the stars, this is a must-have for any true Dr Who fan. Note: Customers ordering direct from the publisher can choose from 7 different font sizes — from "ordinary" 11pt to "extra large" 24pt — to cater for differing levels of eyesight. (Unsurprisingly, the books are print-on-demand) Customers ordering via Amazon & other resellers get the "standard large print" 16pt font.